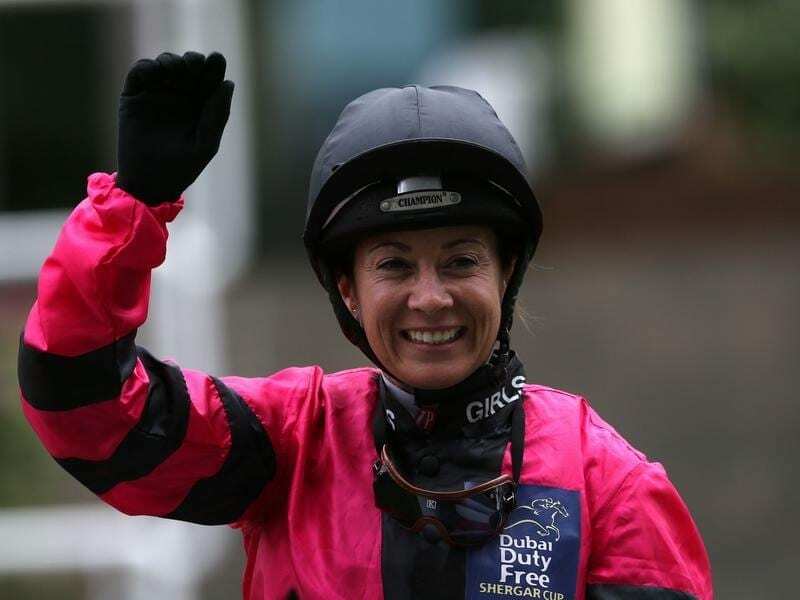 Hayley Turner’s resutls have given the all-female team victory in the Shergar Cup at Ascot. “I’ve been coming to the Shergar Cup for 12 years now and it is a very special day,” Turner said. “The progression of female jockeys is something that is really being pushed and discussed, and this is a fine example of how well girls can do in racing. After one win earlier, Turner’s second place on Roundhay Park in the final race of the series on Saturday (Sunday AEST) assured she was the leading individual rider. Moreira rode the last two winners while Brown’s best place was third on the Andrew Balding-trained Zwayyan.